Though divorce laws vary from state to state, there are two basic approaches to divorce: fault based and no-fault based. However, even in some jurisdictions that do not require a party to claim fault of their partner, a court may still take into account the behavior of the parties when dividing property, debts, evaluating custody, and support. Laws vary as to the waiting period before a divorce is effective. Also, residency requirements vary. However, issues of division of property are typically determined by the law of the state in which the property is located. No-fault divorce -Under a no-fault divorce system, the dissolution of a marriage does not require an allegation or proof of fault of either party. The application can be made by either party or by both parties jointly. Forty-nine states of the United States have adopted no-fault divorce laws, with grounds for divorce including incompatibility, irreconcilable differences, and irremediable breakdown of the marriage. At-fault divorce – In the United States, only New York State still requires fault for a divorce. Under New York divorce law only if both parties notarize a separation agreement and live separately for one year, can a judge convert it into a divorce. Each spouse’s personal property is under a threshold (typically the same as marital property). Be honest with your divorce attorney – Your lawyer is there to help you. Your communication with your lawyer is privileged, meaning your attorney cannot tell others about it, except in certain child abuse scenarios. No matter how embarrassing, it is important to tell your lawyer everything. If you don’t, your case may be hurt at trial because the other lawyer knows facts you haven’t told your lawyer. Be honest with the court – If you go to trial, the result is directly affected by your credibility. Not only is lying to the court a crime, but your lawyer may have a duty to stop the proceeding and tell the court if he or she knows you are misrepresenting facts. If there are areas of your case that are sensitive, work with your lawyer on what you are going to say, but don’t misrepresent. Don’t involve the kids in the process- If your case involves a custody dispute, nothing will anger the court faster than involving your kids in the dispute. Don’t use them as pawns in the battle against your spouse. Don’t hide or fail to produce documents -You have an absolute right to see your spouse’s financial documents. Your spouse has an absolute right to see your financial documents. The court can force you to produce records, and order that you pay your spouse’s lawyer fees incurred in getting the records. Good clients and good lawyers produce documents quickly and voluntarily. Get legal advice before you settle your divorce case – Divorce can be unpleasant and emotionally painful. One reaction is to try to get it over quickly. Do not give into the urge to be done with the case before you have a full understanding of the assets and what a fair distribution looks like. Do not settle prematurely, before your attorney explains your legal rights. Try to resolve the case outside of court – Good lawyers and reasonable people settle most divorce cases without a trial. Many clients benefit from mediation, either through the county courthouse or through a private mediator. You should always consult with your lawyer during the process to make sure you are getting a fair result. Settling also means you choose the outcome rather than have a judge impose an outcome on you. Parties that settle are generally happier long term, and have less ongoing conflict. Hire an attorney if your divorce case is contested – Many judges dislike unrepresented parties. 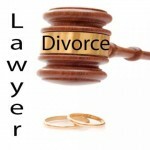 Even experienced divorce lawyers hire experienced divorce lawyers for an objective opinion. If you disagree over property or custody, and your spouse has a lawyer, seek representation. Approximately 90% of divorces are uncontested. What this means is that the parties involved are able to settle their differences without even going to trial. Uncontested divorces –In an uncontested divorce, the spouses reach mutual agreement on relevant issues like alimony, child custody, child support, and asset division. The court doesn’t get involved because the two parties manage to settle all their issues without litigation. Because of this, uncontested divorces usually save significant time and money compared to contested divorces. Your attorney will draft or review all the settlement agreements, to be sure that they accurately reflect the agreement between you and your spouse. Contested divorces –By contrast, two spouses go through a contested divorce process when they’re unable to reach an agreement on issues, even after trying alternatives like mediation. When this happens, the divorce case then goes before the court, where the judge (or jury) makes the final decision on each issue. Whether your divorce is contested or uncontested, it is advisable to consult with an experienced divorce lawyer, who can make sure that your rights are protected and that you are treated fairly. Fill out your information and describe your issue on right and we will help you to find an attorney lawyer Shortly.